This week I have a bunch of creative links from my recent web browsing ventures. 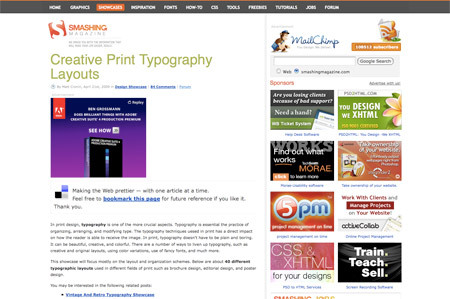 Topics include a tutorial to build your own lifestream, a roundup of useful Twitter tips, a great Illustrator tutorial, a list of the best grungey web designs and some inspirational print typography layouts. 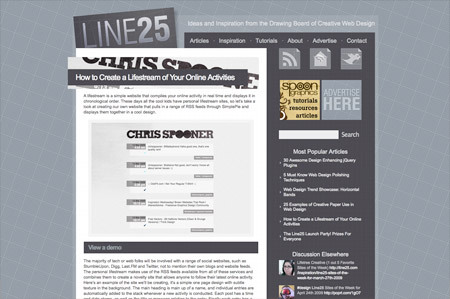 My second blog, Line25 is coming up to the end of its second month since launch. It has been well accepted into the community and has already grown to 2000+ subscribers. One of my favourite posts of late was this tutorial on how to create a lifestream of your online events, so I thought I’d go ahead and dig it out of the archives for anyone who might have missed it! 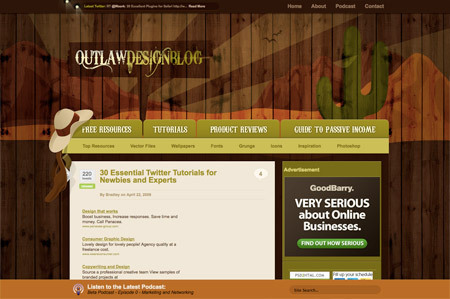 The Outlaw Design blog recently posted this highly useful roundup of Twitter tutorials, which covers plenty of topics for both newbies and experts. Topics include basic set-up tutorials, intermediate tutorials and expert tutorials, so there’s bound to be something in there for you! Ryan Putnam has written this fantastic Illustrator tutorial over at Vector.Tutsplus that really shows what can be achieved in Illustrator through the use of simple shapes and tools. 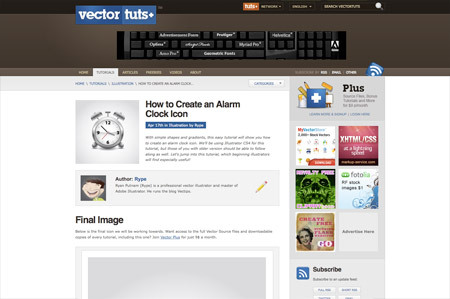 The tutorial goes through the process of creating an alarm clock icon, with an excellent end result. This extensive roundup on Pro Blog Designs features 100 of the best creative and grunge designs about. This particular style is one of my personal favourites, so this massive list gives plenty to check out for a session of inspiration absorption. Print designs always make for a good source of design inspiration. This collection of creative print typography layouts on Smashing Magazine showcases some unique typographic designs and layouts. Be prepared for plenty of inspiration! 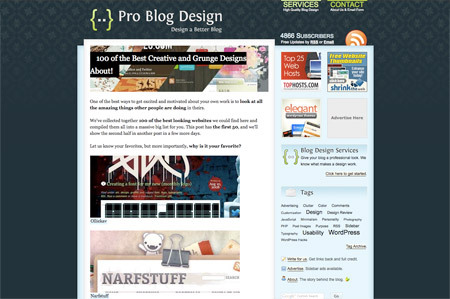 Thanks again, your site a mine of USEFUL info which helps a novice @ web design empower themselves. Your article is really appreciable. lovely list, i’m taking a look at the twitter tuts right now! cheers again! schweet list! I’m enjoying this week’s fave!